It was a fast week that felt long. Aren't all holiday weeks like that? 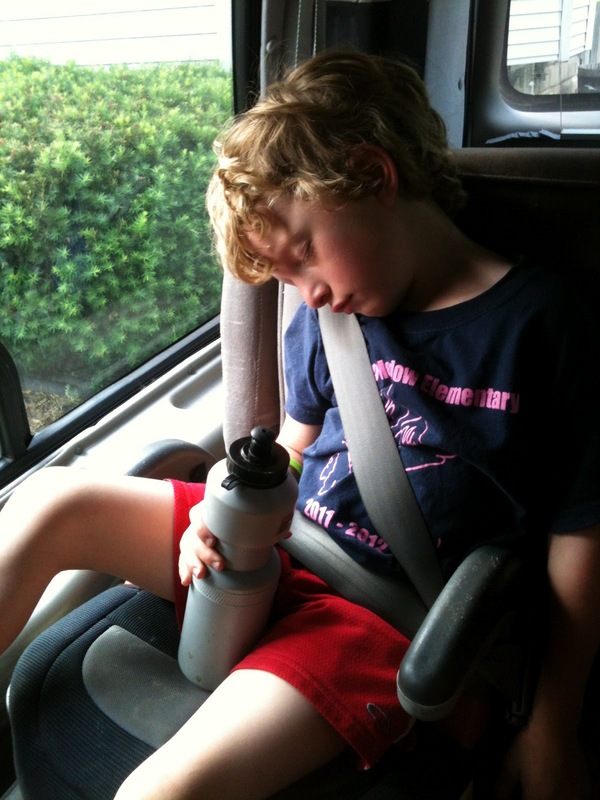 Sweet JT feel asleep on the short ride home from school after a fun field trip. All this fun is wearing all of us out. I have a few announcements. Ah--hem. I would like to announce that I am no longer a blogspot.com. I am now just a .com. I am giddy about this because I feel more legit. Not impressed? 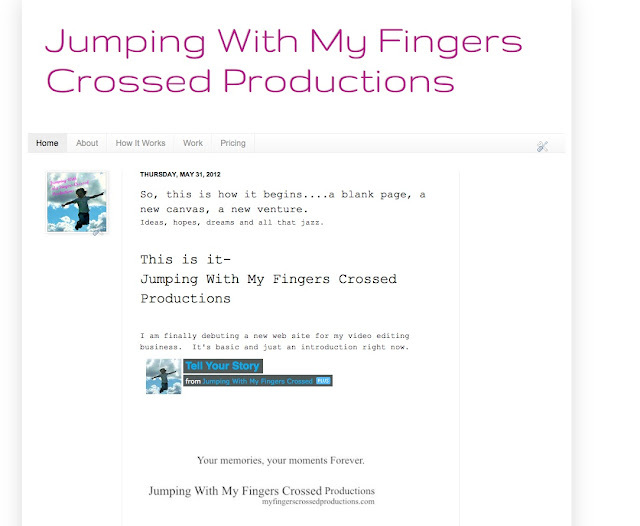 Okay what about the fact that I finally am launching my video editing web site? Yup, that's a .com too. It's rough. It's new. It's a work in progress. But check it out and show me a little love. I've been dreaming about launching for a long time. I've been waiting until everything is just right. Well, if I do that, I will never get started. So to borrow a somewhat familiar line, I'll just do it. I feel like I'm taking a risk. Like I am jumping with my fingers crossed. I'm nervous and feeling vulnerable, but it's better than wondering and not doing anything. This I know for sure. Starburst candy makers should make a packet with only red, yellow and pink. Who likes orange? No one. Facebook is making it harder for bloggers to get their posts out to everyone. Please sign up to get new blog posts sent to your email. Click here. Of course liking the Facebook page wouldn't hurt either, click here to do that. There is nothing wrong with liking Phil Collins. I challenge you to play the video below, sing along with wild abandon and not feel better about life. Hitting the old air drums doesn't hurt either. I got a chance to review a MINI Cooper for Patch and it was AWESOME. Check out my review here. I kind of love this new Scissor Sisters song- "Only the Horses." Love your blog and Phil Collins. Hate orange Starbursts.